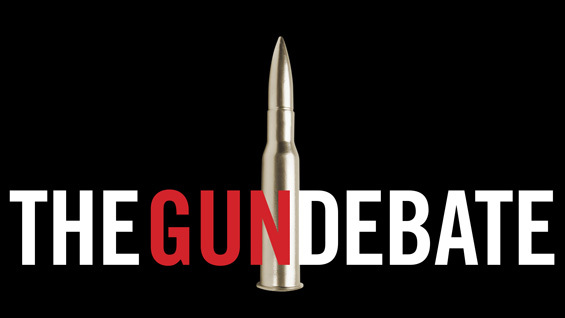 Author's Talk: "The Gun Debate"
Economist Philip J. Cook and political scientist Kristin A. Goss discuss the issues, slogans and ideology central to our national dialogue on gun control, covered in their book, THE GUN DEBATE: What Everyone Needs to Know. Cook and Goss delve into the latest research, data, and developments in the areas of gun prevalence, gun violence, the acquisition of guns by vendors and consumers, the value and risk of owning and carrying a gun, the regulation of firearms, historical perspectives on the legality of firearms, the enforcement of firearm legislation, and a nuanced discussion of both the gun rights and gun control movements. The authors also tackle sensitive issues such as the correlation between mental illness and violent crimes and how video games and the media might contribute to gun violence. Philip J. Cook is ITT/Sanford Professor of Public Policy and Professor of Economics and Sociology at Duke University. He is the author of Paying the Tab: The Costs and Benefits of Alcohol Control, Gun Violence: The Real Costs, Selling Hope: State Lotteries in America, and co-author of The Winner-Take-All Society and Evaluating Gun Policy. Kristin A. Goss is Associate Professor of Public Policy and Political Science at Duke University. She is the author of Disarmed: The Missing Movement for Gun Control in America and The Paradox of Gender Equality: How American Women's Groups Gained and Lost Their Public Voice.